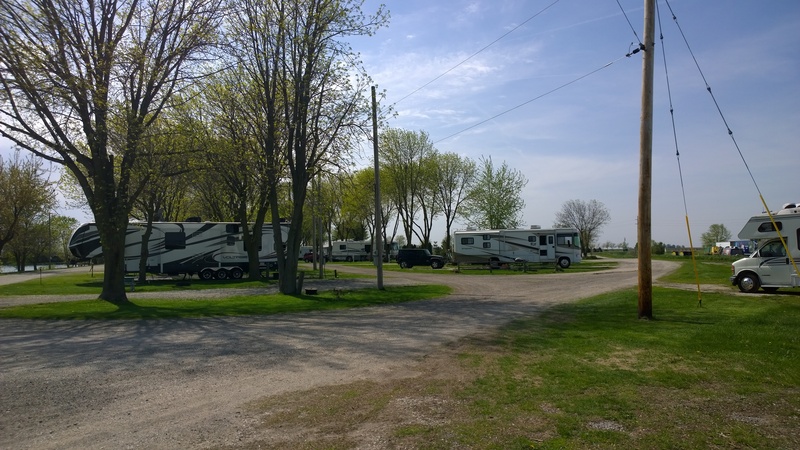 Busy little RV park with 40 sites. We called & arrived the same day, & got one of the last 3 sites, so felt fortunate to have arrived when we did. Our disappointment was discovering that our site was one of 4, that only have water & electric. With that being said, they do have a dump site. The parks showers were disappointing. My husband was not able to get in & gave up waiting for the only men's shower. Water temperature in ladies shower was warm, but not hot, when I took mine. $28.50/night is too expensive not to have all utilities included. This park is conveniently located off highway. Easy on & off with a truck stop on opposite side of highway. I think had we had full hook ups as advertised we would have given a higher rating, but the combination of no sewer & the shower situation is why we have it 3 stars. Overall it's a nice park & I would stay again if a site with full hookups are available. Big Bob & Robert helped us with check in & propane. Very nice & helpful. 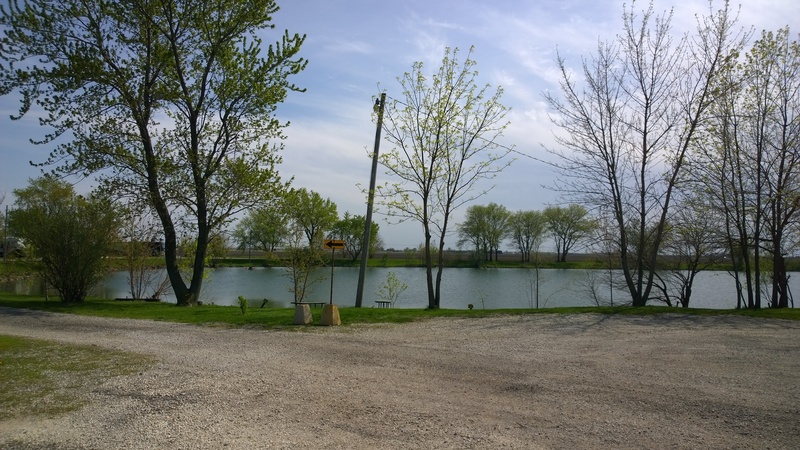 We are visiting in the Champaign area & are so glad we found this lovely retreat! 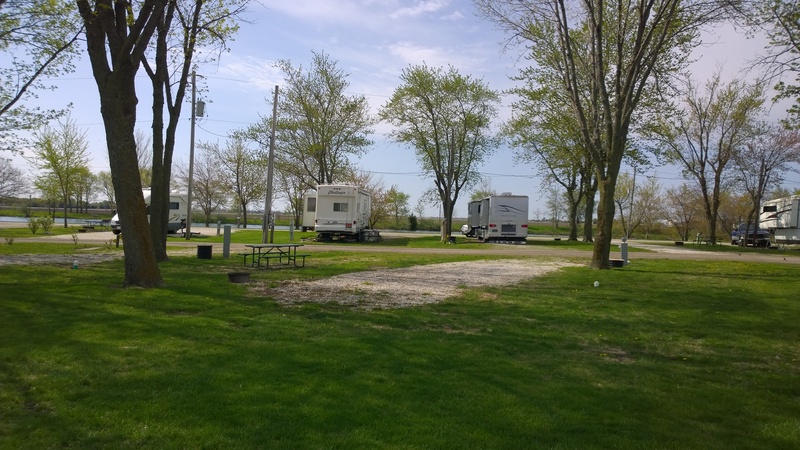 We have loved staying in this quiet, clean & very well run campground. The setting is beautiful. We are in a row of trees, the sites are level, they are nicely spaced & we love seeing the lake in front of us. There is a laundry, small playground, fishing, kayaking or just simply relaxing! Hope to come here again. I am sure we will. We are in a 40 ft motor home. The owner was great to put us in a space that was large & easy to get in & out. Hate to leave! This is our second stay and we will stay here again. Very large and level sites. Nice and quiet Everyone here are very helpful. Convenient off the freeway, they helped park us and very friendly. Would stay here again if in the area. Didn't use any of the facilities, we are in a 32' 5th wheel. 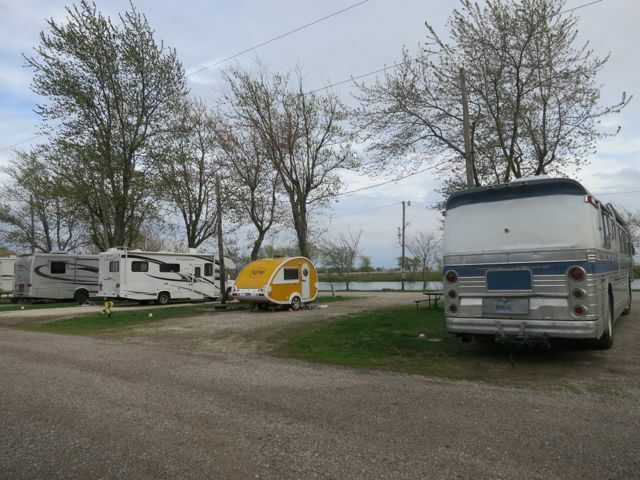 The campground was easy to find, just off Interstate 57. Our space was a pull through, looking at the fields that surround the campground. The campground had a pond and a few spots around it, but we were two rows over from the pond, which was fine. The campground’s proximity to the highway is close, but the noise was minimal… I slept great the three days we were there. Our space was unpaved, but level. The hookups were convenient. The nightly rate was inexpensive. Would I recommend this park? Yes. Would we come back? Yes. We were surprised with how close to the interstate this park is - but yet, the road noise wasn't that bad. The sites are all large, with a good amount of space between them. The park seems very well maintained, and the hosts on duty were super friendly and helpful. Very warm welcome. Also loved their online reservation system, which accepts same day reservations and you pick your spot online. Perfect for our spontaneous ways. The park is only a touch out of town, with nothing in walking distance. But just a short drive away from the mall, grocery shopping and dining. A good base camp for our needs of stocking up and doing some errands. Lovely campground in the country. Long spacious sites. Beautifully taken care of. Also - just three miles away is every store or restaurant you would want. 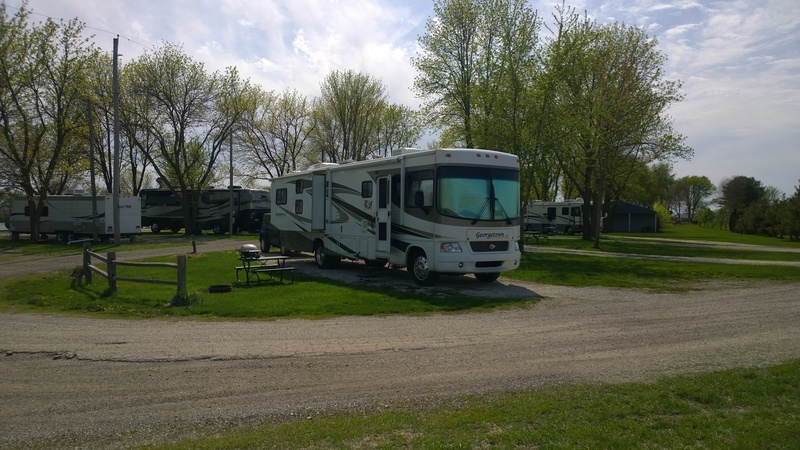 road noise, but a clean little park with a great RV parts store and technician. they also sell propane. gravel site level and large. easy in and out for big rigs.there's a ranger truck stop on the other side of the interstate, and a McDonalds.